Funded by the Heritage Lottery, Scottish Forestry and the Scottish Government 'Eastern Perthshire Decides'. 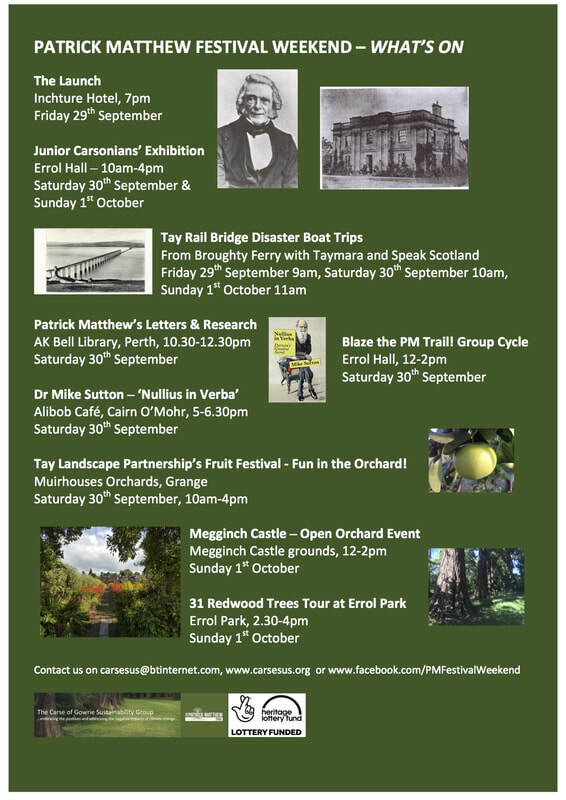 The Carse of Gowrie Sustainability Group in collaboration with Megginch Castle are creating a 125 tree orchard to emulate the 19th century working orchards of Patrick Matthew. This orchard will include an Outdoor Learning Centre for workshops and provide seating for volunteers. Patrick Matthew Weekend Festival 29th Sept - 1st Oct 2017. The Carse of Gowrie Sustainability Group has secured funding from the Heritage Lottery to celebrate the remarkable life and legacy of Patrick Matthew ​19th Century landowner, farmer, social justice campaigner and fruit grower who discovered the process of natural selection thirty years before Charles Darwin, yet has never been recognised by the scientific establishment. ‘In actuality, it is Scotland and its people who have been most short changed by this deception. Therefore, it is they and Scotland who need to recover this heritage taken from them. That is what I hope to accomplish and help to bring about with this memorial project’. This project, which is two years in the making, will create a story-map and trail for people of all ages to discover Patrick Matthew’s Carse and his contribution to science, orchards, redwoods and social justice. 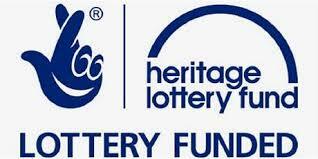 Securing the Heritage Lottery funding promotes a memorial to his legacy for local residents and Matthew’s descendants’. Matthew introduced the Californian ‘Redwood’ to the UK in 1853, an there are many examples of this legacy across the Carse of Gowrie, one of the largest is at Megginch Castle in Scotland. Redwoods are depleting due to global warming, and establishing a genetic reserve in Scotland will secure their future. 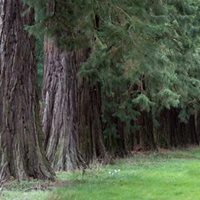 Redwoods are incredibly difficult to cultivate and whilst many have failed, a Carse family have just succeeded – using seeds from Matthew’s original trees.